WordPress has grown in more ways than one over the last couple of years, but one thing that still is missing in WordPress core are default search engine optimization features. We all know the “Allow search engines to index this site.” checkbox when installing a new WordPress installation, but is it going to help us overall? Most likely it's not, especially not if you want to take your website to the next level and achieve good rankings in search engines by optimizing your website for SEO. SEO is no longer a couple of meta-tags added to your content pages. It has grown into a billion dollar industry, and in data published by LinkedIn – search engine experts/marketers was one of the most sought after professions on the work. To be precise – it made the top five list of most in-demand skills that companies and corporations are looking for. And this trend hasn't changed much. It doesn't just set the bar high for you and your own way of doing search engine optimization and marketing, it sets the bar high for those who develop professional SEO plugins for WordPress as well. We want to introduce some of the best and most popular SEO plugins, which have been downloaded by millions of users around the world. It's a staggering number of exposure and appreciation, something that many online marketers would be desperate for. All in One SEO Pack is a WordPress SEO plugin to automatically optimize your WordPress blog for search engines such as Google, Yahoo! and Bing. It's a very convenient plugin to use, you literally can install it without having to apply any changes to the configuration – out of the box, if you like. 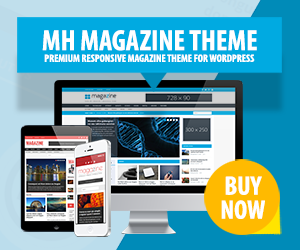 Integrates flawlessly with WordPress e-commerce websites. API access for developers to extend the functionality/features. All in One SEO Pack is one of the most downloaded search optimization plugins to this date, and for good reasons. This plugin is not only good for beginners, but also advanced users can fine-tune everything to optimize their website for search engines. Yoast is a search engine optimization consulting company that was founded by the developer Joost de Valk – the company has now grown into a huge organization that offers several premium tier plugins, as well as services like website analysis. The Yoast SEO plugin is currently running on more than one million websites which makes this one of the most popular SEO plugins for WordPress. Yoast SEO offers a unique site analysis functionality that checks simple things you're bound to forget. It checks, for instance, if you have images in your post and whether they have an alt tag containing the focus keyword for that post. You can easily optimize different parts of your site: categories, feeds, tags, posts – you can customize all the important search engine data, things like custom titles, meta descriptions and more. This helps to optimize your website and rank well with unique content. Social networks nowadays are an important part of any webmaster's SEO strategy and Yoast SEO provides you with functionality that allows you to track and optimize your social activity for Facebook, Twitter and Google+ as well. Yoast SEO offers some really great and unique features. Especially the site analysis functionality is a great tool for daily search engine optimization on your website. The page analysis even helps you improve the readability of your content, which is an important SEO criteria as well. The good news is, that you can easily transition from your current SEO plugin, as there is functionality that accepts the configuration settings from other SEO plugins for an easy transition to Yoast SEO. SEO by SQUIRRLY also is very beginner friendly and works just fine for everyone, even those who're just starting out with SEO. The one thing that SQUIRRLY excels at is its user interface on the right hand side of your Edit Post pages, unless things are lighting up in green color – you must make further optimization calls. It's really a neat and attractive feature, especially for beginners. One of the biggest advantages by far is that the SEO by SQUIRRLY plugin allows you to track the keyword position of the content that you write. Many other SEO products / extensions would charge extra money for such functionality. Tracks all the aspects of your content marketing strategy: Blogging, Traffic, SEO, Social Signals, Links, Authority. Every single week you can get a new report via email. Enables you to monitor your progress as it is happening, very encouraging for new bloggers who're not sure about the tactics and SEO strategies they're learning. All in all, there is a great deal of unique features that the SEO by SQUIRRLY plugin brings to the table and it is definitely worth looking into. If you need some SEO tips while you write, this is the one plugin to get, at least while you learn and adapt to common SEO best practices. The mentioned SEO plugins are highly sought after, so the plugin developers usually do their best to keep them alive and updated with the latest SEO standards. It's great to see that the developers go different ways of helping users to optimize their websites, either by offering unique page analysis tools, tracking functionality or else. Otherwise you would end up with many SEO plugins that simply copy each other's functionality, but that luckily is not always the case. 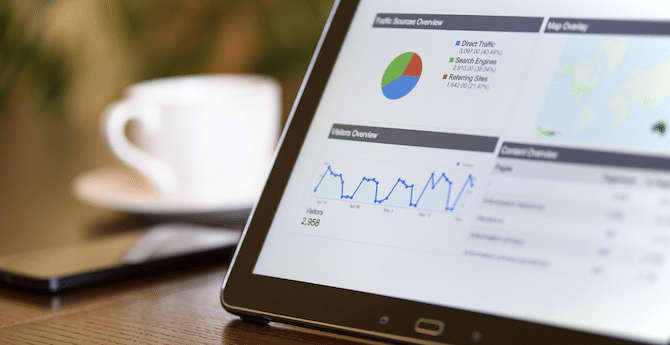 What's your favorite SEO plugin for WordPress? Do you have any positive or negative experience with the mentioned plugins? From my experience Yoast SEO is the best one for article based content websites. My favorite SEO plugin is SEO Post Content Links. This is really appreciable. The plugin builds internal links and helps me a lot.